Solamente en San Miguel, Vol II includes "Say, How's the Foot?" another one of my essays. The essay is from "We'll Always Have Parasites," my work-in-progress humorous, non-fictional account of the two years Arlene and I spent living in the middle of Mexico. 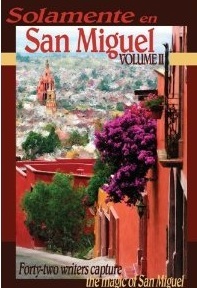 Solamente en San Miguel includes more than 40 essays, stories, and poems about the magic of living in San Miguel. For ordering information, click on the book cover image. 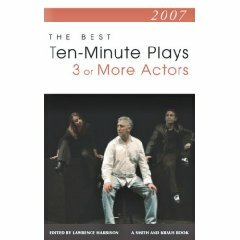 comedies, were recently published by Smith and Kraus, a leading publisher for theatre lovers and the acting community. See my Plays page for more info on the two works. "Yes, We Have No Chihuahuas," a chapter from my non-fiction humor book about dropping out and moving to Mexico, has been published by Windstorm Creative Press in Solamente en San Miguel, an anthology about life in San Miguel de Allende, Mexico. The book, titled "We’ll Always Have Parasites," is about what happened to me and my wife, a 50-something couple tired of their high-stress-high-tech jobs and hungry for a lifestyle change, when we quit our jobs, sold our things, and moved to Mexico...without knowing a soul or the language. To order your copy, click on the book cover image above. Two of my monologues (from the plays “Am I Right?” and “The Line Forms in My Rear” were published by Smith and Kraus in Volume 1 of their Sixty Seconds to Shine series, one-minute monologues for men. I am proud to say, thanks to the organizing principle behind the English language, my monologue from “The Line Forms…” faces a monologue from “A Long Day’s Journey into Night,” one of the leading American dramas of the 20th century. 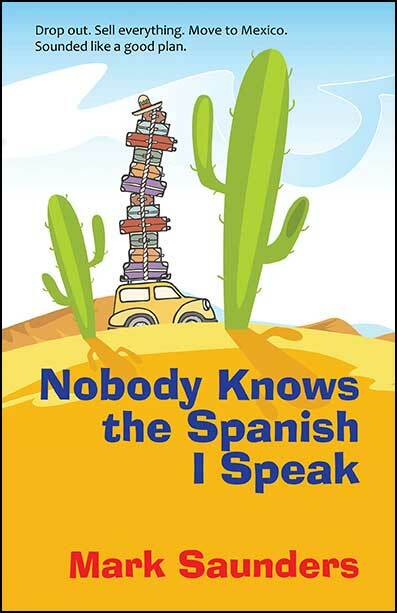 A new essay from “Dogs, Cats and Expats,” my planned sequel to Nobody Knows the Spanish I Speak is included in the anthology Solamente en San Miguel, Volume III by Parroquia Press. Order your copy today and find out why San Miguel de Allende, Mexico, was voted the best city to visit by Travel & Leisure magazine.